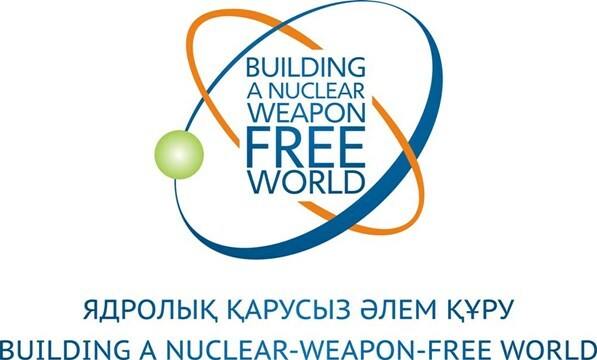 ASTANA – The Kazakh capital will host the international conference “Building a Nuclear-Weapon-Free World,” dedicated to the 25th anniversary of the closure of the Semipalatinsk Nuclear Test Site and commemorating UN International Day against Nuclear Tests at the Palace of Independence Aug. 29, the Senate of the Parliament announced. The Kazakh Senate, Ministry of Foreign Affairs and Parliamentarians for Nuclear Non-proliferation and Disarmament (PNND) have co-organised the conference. It will be addressed by President of Kazakhstan Nursultan Nazarbayev and will bring together parliamentarians, representatives of international organisations, civil activists, scholars, mayors and media from around the world. The event will include a plenary session and four panel sessions: “Security without nuclear weapons or war: Manifesto “The World. The 21st Century”; “A nuclear test ban and the role of the UN in achieving nuclear disarmament;” “National prohibition and nuclear-weapons-free zones. Geography of a sustainable world;” “Initiatives and campaigns – legislators, religious leaders and civil society”. Conference participants will commemorate victims of nuclear tests, consider current disarmament issues and make proposals on how to strengthen international security. According to Speaker of the Kazakh Senate Kassym-Jomart Tokayev, the 25th anniversary since the closure of the Semipalatinsk Test Site is a date of global significance. “President Nursultan Nazarbayev is recognised as a leader of the global antinuclear movement. His decision on the full closure of the Semipalatinsk Nuclear Test Site is the first and the only such case in the disarmament history of the world. The idea of complete nuclear disarmament underpins the Manifesto, “The World. The 21st Century.” The anniversary of the closure of the Semipalatinsk Test Site is the best opportunity for the entire world community to consider the paramount importance of establishing sustainable peace on the planet and to propose new common solutions to security problems,” he said on the eve of the event. On Dec. 2, 2009, at Kazakhstan’s initiative, the UN unanimously declared Aug. 29 the International Day against Nuclear Tests. “For nearly a decade as UN Secretary-General, I have witnessed many of the worst problems in the world, as well as our collective ability to respond in ways that at times seemed impossible. Our ambitious new 2030 Agenda for Sustainable Development and the Paris Agreement on climate change have demonstrated the power of political will to break long-standing deadlocks. On this International Day against Nuclear Tests, I call on the world to summon a sense of solidarity commensurate with the urgent need to end the dangerous impasse on this issue,” UN Secretary-General Ban Ki-moon said in a special message on this year’s International Day against Nuclear Tests. The UN Secretary General went on to urge Comprehensive Nuclear Test Ban Treaty Organisation member states to act now. “Those states whose ratification is required to bring the treaty into force should not wait for others. Even one ratification can act as a circuit breaker. All states that have not done so should sign and ratify because every ratification strengthens the norm of universality and shines a harsher spotlight on the countries that fail to act,” he said. 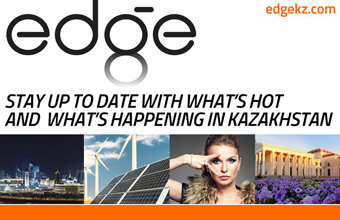 Kazakhstan knows well those catastrophic human consequences. The Soviet nuclear weapons tests at the Semipalatinsk site, caused illnesses and premature death to an estimated 1.5 million people and contaminated a huge area. The Manifesto “The World. The 21st Century,” which was released by Nazarbayev earlier this year, is another contribution to the goal of a nuclear-weapon-free world and to an end to war. The main idea of the manifesto is to prevent war by utilising common security and international law approaches such as diplomacy, negotiation, mediation, arbitration and adjudication.